1) Can I load data into MySQL database hosted in Shared Web Hosting? 2) Can I run jobs from command line OR, Can I run transfer jobs from other applications? 3) Can I use Data Loader to load data from Oracle or MySQL which is installed on Unix Machine to any other Database? 4) Can I convert Delimited Text File to another Delimited Text, Fixed Length format and Vice Versa? 5) Can I use Data Loader to Load data from one Oracle Ver. to Another Oracle Version? 6) Is there any limit on number of rows which data loader can load? 7) Can I use WHERE Condition for filtering rows? 8) What other components are required to run Data Loader? 9) How do I check whether MDAC is installed or not? 10) How do I remove the restriction of 50 Rows? 11) Does Data Loader runs Conversion jobs at schedule date and time? 12) Which Databases are supported in the new version of Data Loader? 13) Can I do transformation in Data Loader? 14) Can I load from multiple Text or CSV Files simultaneously? 15) Can I specify WHERE condition while loading data from delimited text files? 16. Connection problem while connecting to MySQL Databases. 17. I am getting "Too many fields defined" error after selecting Excel Worksheet. 18. No tables defined error while opening Excel Worksheet. 19. Some columns values are null after converting an Excel worksheet into any of the supported database? 20) Which Operating System is required to run Data Loader Ver. 3.6 or 4.x ? 21) Why is loading process slowly when I choose UPSERT or INSERT feature. 22) Does it supports Windows-64 Bit or 64-Bit databases? 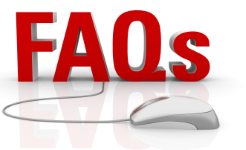 1) Can I load data into MySQL database hosted in Shared Web Hosting. To find out your IP you can go to the following site whatismyip.com. Once you have added your IP now start Data Loader and type your domain name (for ex. dbload.com) and user account and password and click connect. <session_id> : The session ID which you want to execute. 3) Can I use Data Loader to load data from Oracle or MySQL which is installed on Unix Machine to any other Database. Ans. Yes, you can load data from Oracle or MySQL which is installed on another O/s. For this you must have proper Client Software installed on the machine where you are running Data Loader. Ans. Yes, you can use Data Loader to Convert Delimited Text files to another Delimited Text File or Fixed Length. You can even filter columns and Specify WHERE conditions while converting. 5) Can I use Data Loader to Load data from one Oracle Ver. to Another Oracle Version. Ans. Yes, you can use Data Loader to load data from one Oracle version to another Oracle Version. 6) Is there any limit on number of rows which data loader can load. 7) Can I use WHERE Condition for filtering rows. Ans. Yes, you can filter rows while loading from MySQL, Oracle, MS-Access, MS-SQL Server Foxpro Database source to any other Target Database or Text file. 8) What other components are required to run Data Loader. Ans. First go to control panel/Administrative Tools if you see the ODBC Manager. Then MDAC is installed otherwise not. 10) How do I remove the restriction of 50 Rows. Ans. This happens if you are running Trial Version of Data Loader. If you want to remove this restriction please purchase a registered version of Data Loader. 11) Does Data Loader runs Conversion jobs at schedule date and time. Ans. Yes, From Ver 2.0 Data Loader comes with its own Scheduler. Just create a session specify the schedule time and DL will executes the conversion jobs periodically at specified times. 12) Which Databases are supported in the new version of Data Loader. Ans. Currently Data Loaders Support loading to and fro from MS-SQL Server, MySQL, Oracle, MS-Access, FoxPro, Text format. 13)Can I do transformation in Data Loader. Ans. Yes by using views. For example: suppose you want to load columns from multiple tables which are joined on some field to another Database. To achieve this first create a joined view in your Oracle or MS-SQL Server Database and then start Data Loader and select this view in the source and load it into any of the databases. Ans. Yes, from Data Loader Ver. 2.5 you can load from multiple text files simultaneously. Even if you have different delimited files in one folder you can select these files and load it into any of the supported database. 15) Can I specify WHERE condition while loading data from delimited text files. Ans. Yes, from Data Loader Ver. 2.5 you can specify WHERE condition to filter rows while loading from Delimited Text Files to any other supported Databases. Ans. This usually happens because of Firewall. If you have a firewall install then firewall software will not allow Data Loader to connect to MySQL Server. To avoid this please allow Data Loader to access your computer by modifying firewall settings. Ans. This happens if you select a worksheet or range which contains more than 255 columns. Microsoft Excel driver supports only 255 columns, that's why you will not be able to transfer more than 255 columns per sheet. Even if the worksheet seems to contain fewer than 255 columns, please make sure that the columns in the worksheet that seem empty aren't filled with " " or non-print chars. Ans. This error occurs if the Excel worksheet does not contain proper ranges or MS Excel driver or provider is not able to correctly interpret the rows and columns in the worksheet. This can avoided by defining ranges in the worksheet. In your Microsoft Excel worksheet, select the rows and columns that contain the information that you want to import. In the Names In Workbook box, type a name (the name may not contain spaces nor should it be the same as one of the column header names) for the range that you specified, and then click Add. Click OK, and on the File menu, click Save. Save and quit the workbook. Ans. This happens if the Excel Column contains intermixed data. If you have numeric values mixed with text values in the same column. Both the Jet and the ODBC Provider return the data of the majority type, but return NULL (empty) values for the minority data type. This is a known bug in the Microsoft Excel ODBC driver and OLE DB Provider. On the Start menu, click Run. Type regedit and click OK. Select TypeGuessRows and on the Edit menu click Modify. In the Edit DWORD Value dialog box, click Decimal under Base. Type a value between 0 and 16, inclusive, for Value data. Click OK and quit the Registry Editor. When this value is set to zero, Microsoft Excel will scan all records in your table to determine the type of data in each column. After setting the registry value please transfer the data again from Excel to any other database. Ans. Please make sure that the target table is having a primary key index created on the matching column. If no index exist then the processing will become slow because Data Loader has to compare each and every record for existence. 22) Does it supports Windows-64 Bit or 64-Bit databases. Ans. Yes Data Loader will run on Windows 64 bit operating systems and it can also connect to 64 bit databases but, you need to install 32 bit OLE DB Provider or 32 bit ODBC driver to access 64 bit databases. 23) I receive this Error message, “The database file cannot be found. Check the path to the database. Ans. This error could be due to permission issue or due to Data Loader repository database "DLRepo.sdf" is missing. This usually happens if you uninstall the Trial Edition after installing the Full Version. If this is the case then please uninstall and reinstall the full version. If you have not uninstall the Trial Edition then, please make sure that Data Loader Repository file "DLRepo.sdf" is located in %localappdata% /Interface Computers folder. Type %localappdata% in windows explorer to access Local Appdata folder. If the file is not found in "Interface_Computers" folder then you will need to reinstall Data Loader. If the file is present then please check you have sufficient read write permission on this folder. If the above doesn't work then please try to reinstall Data Loader again within a user who have admin privilege after uninstalling the previous version. If you have any other questions or problems please contact us and we will be glad to help you.